On January 21, 1913, 156 delegates representing 52 congregational women’s groups met in Cincinnati, OH to organize the National Federation of Temple Sisterhoods (NFTS, now WRJ). Carrie O. Simon was chosen to serve as temporary chairwoman and later as the first president. Advocacy was a large part of NFTS’s philosophy from its inception. The women were in the forefront of social action and change. They embraced relief efforts during World War I, brought German rabbinical students to study in the U.S. after Hitler shut down Jewish academies of learning, participated in the formation of the United Nations, spoke out for women’s rights, and more. In the ‘20s, ‘30s, and ‘40s, the organization was a primary supporter of the Hebrew Union College-Jewish Institute of Religion (HUC-JIR), the National Federation of Temple Youth (NFTY), and the Jewish Braille Institute (JBI, now JBI International). NFTS advanced the role of women in Jewish life, and the women took their place in Reform Movement leadership. The ‘50s and ‘60s were a time of growing membership for the organization as well as the greater Reform Movement. 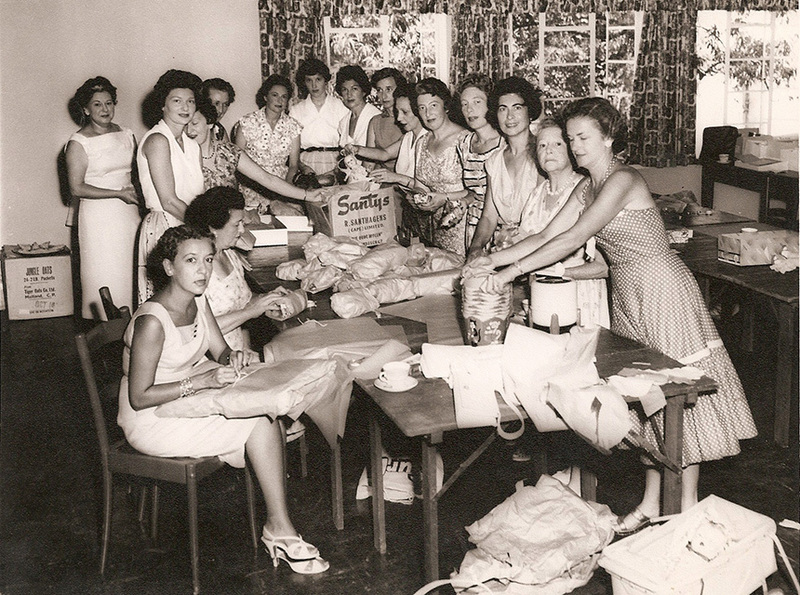 During this period, sisterhood women were instrumental in relocating the Union of American Hebrew Congregations (UAHC, now URJ) headquarters from Cincinnati to New York and launching the URJ camping system. The ‘70s and ‘80s deepened NFTS’ ties to our global community—NFTS financially supported the growth of Reform institutions throughout Israel including Reform congregations, schools, kibbutzim, and the World Union for Progressive Judaism (WUPJ) Center in Jerusalem. After decades of advocacy, WRJ finally celebrated the ordination of the first woman rabbi, Sally Priesand, at HUC-JIR in 1972. The ‘90s and ‘00s were a time of great change for NFTS, which was officially renamed Women of Reform Judaism at the WRJ 38thAssembly in San Francisco, CA in 1993. During this period, WRJ developed and completed two major projects: The Torah: A Women’s Commentary, which features women’s interpretations of the holy text, and Torat Nashim, the WRJ Torah written by the hands of Jewish women. WRJ also redefined the WRJ Districts, entered the World Wide Web, began hosting Lilith Salons, and expanded its network of affiliates in Israel and affiliates around the world. This decade has already been an exciting one for WRJ. In 2013, WRJ celebrated its Centennial Anniversary and it continues to support its affiliates in North America and globally, pursue social justice, and cultivate women’s leadership. Over the years, WRJ has created signature products to help raise funds to support the organization, the YES Fund, and other WRJ initiatives, and make great gifts for family, friends, fellow members/congregants, and clergy.